I spend a lot of time in the kitchen. Feeding boys, cleaning up after boys, preparing to feed boys...yeah, I spend a lot of time in the kitchen. I am definitely not a chef...not by a long shot. But I do enjoy following recipes and creating meals for my family. The more time I spend in the kitchen these days, the more I find myself dusting off my wedding registry appliances and adding new time savers to the mix. 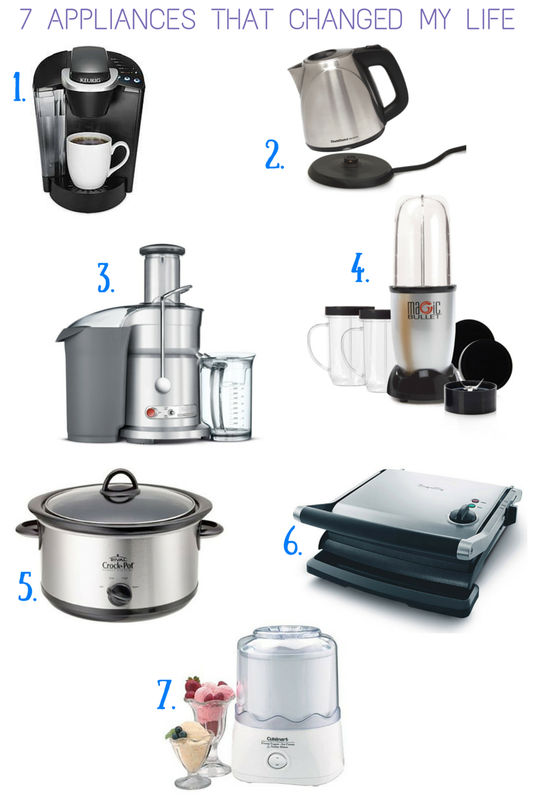 These seven appliances have really made an impact on my life. I love them. Mother's Day is coming up this weekend...does the mommy in your life have all the kitchen love she needs? If not, here is a good list to start with! 1. Keuirg - I am sure we all have jumped on the single coffee cup bandwagon...and for good reason. If you are a one cup wonder or like to have a hot cup throughout the day than this little ditty is the way to go. I still have my traditional coffee maker tucked away for a post-dinner party beverage, but these days, the Keuirg is a must have for every kitchen. 2. Electric Water Kettle - Now this is not exxxxactly mine, it is my Thriving Mommy's, but I still use each morning. I am obsessed. My daily hot water with lemon, oatmeal...I mean this little thing takes seconds and produces some hot, hot water! No more waiting for the stove to get going, thank G.
3. Juicer - When I did my whole juice cleanse, this thing was literally my best friend. But these days I use it mostly for fresh orange and grapefruit juice. Since we live in the country and often get boxes of fresh citrus from our neighbor's groves, I count my lucky stars to have my trusty juicer nearby. There is NOTHING better than fresh juice! 4. Magic Bullet - Literally the new love of my life. With green smoothies being a daily staple for myself and my boys, this amazing gadget makes whipping up greens and fruit a snap. I would be lost without her. 5. Crock Pot - Who doesn't love their crock pot? 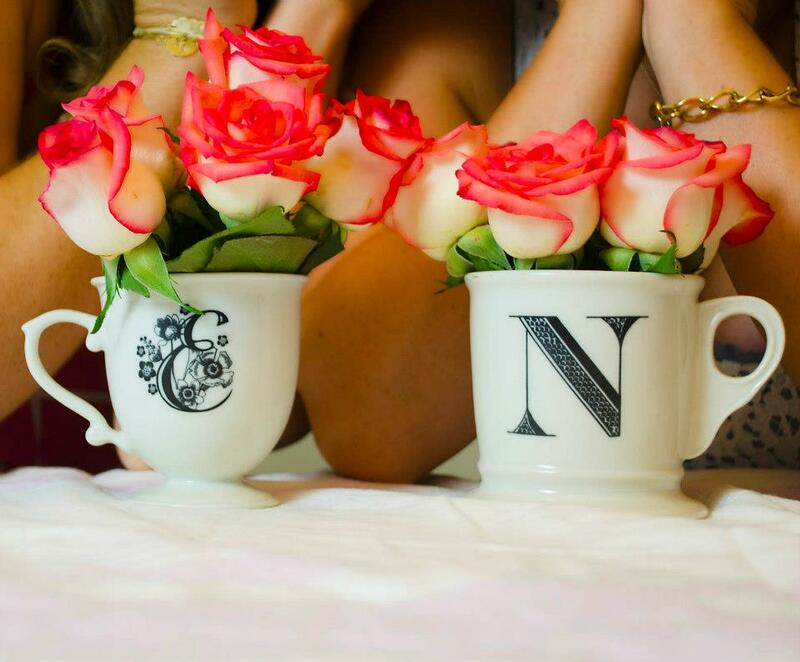 These are a must for every Thriving Wife. Dinners can be thrown in before heading to work or out with the kids only to have your meal have made itself in the evening. Breakfast, lunch, dinner, dessert, drinks and even for entertaining...does it every stop? The Crock is must have kitchen essential. 6. Panini Maker - No grilled cheese will ever be the same. I am allllll about my panini maker. Caprese for me, BLT for my TH, pear and brie, I mean you can really do it all...at the same time...with this great machine. The leftovers and possibilities are endless! 7. Ice Cream Maker - This was a wedding gift that I made sure to register for because I wanted to use it when I had kids. Well, I use, it a lot...but not for my kids. I am OBSESSED with making fresh, soft-serve-ish, heaven in a spoonful, ice cream on the reg-u-lar. No more store bought junk for me. I make it, know what goes in (organic only) and can add fruit, chocolate, cookies, candy...I mean WHATEVER I want to make it meet all my sweet dreams. The only wedding appliance that I still need to crack into is my food processor. From what I have heard once you start, you just won't stop. I am just not sure I am ready for another appliance love affair....who am I kidding, yes I am! 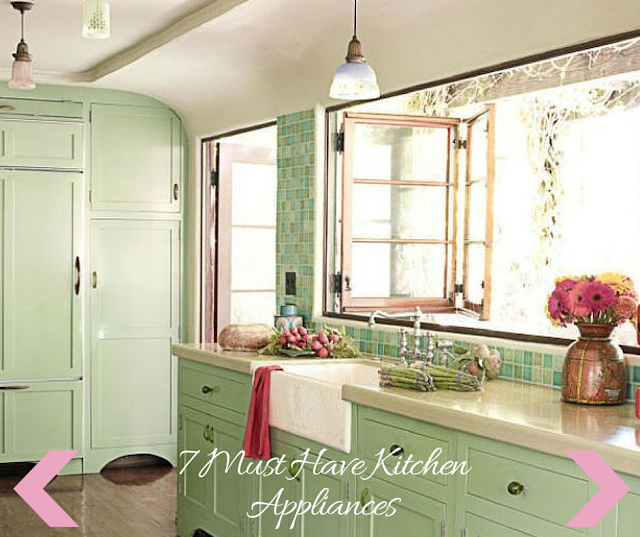 What appliances can you just not live without? Am I missing out on something?! !